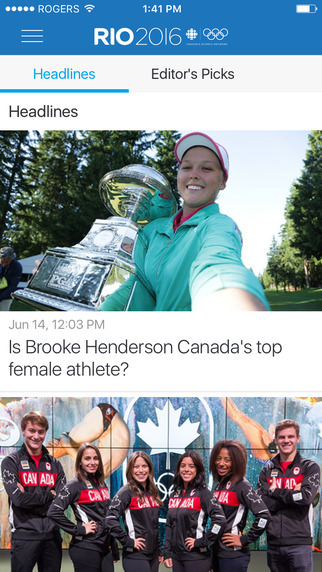 As promised, CBC has released their Rio 2016 iOS app, to allow iPhone and iPad users to live stream the upcoming Summer Olympics and follow Team Canada every step of the way, from August 5-21. The app allows for customized alerts for medal results and breaking news, plus also brings up-to-date even and broadcast schedules too. 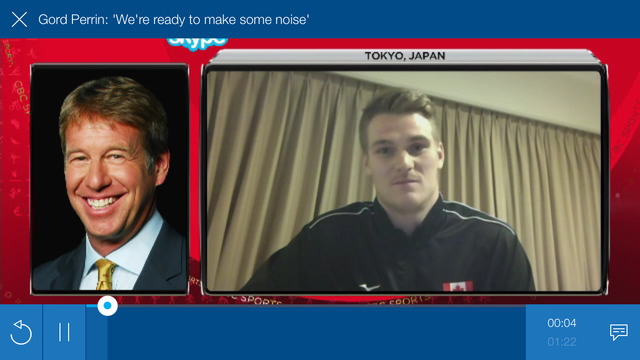 Other parts of the app allows users to meet Team Canada’s athletes, as interviews, highlights and profiles are all included. Starting August 5th, the live video feed will begin, but until then, the app is still usable to check out news and more. Once the Games start, you’ll be live streaming the 2016 Rio Olympics on your iPhone at work, washrooms, during dinner at the in-laws and more. No word yet whether there will be an app for the Apple TV, as that would make for an easy viewing experience in the living room for cord cutters. CBC will also be partnering with Twitter Canada to extend the reach of their Olympics coverage. 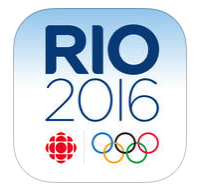 Click here to download CBC Rio 2016 in the App Store—it’s a 47.8MB download.